I first came across the Mentor Profiler online tool a few years ago, having met Doug Cowie, who owns Frontline Solutions, the company which has developed this tool over the years. It was initially developed by Lou Thompson in New Zealand. 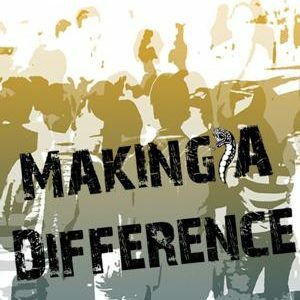 Lou ran a trial of the program with approximately 3000 adolescents while he was working in the field of youth mentoring. When Lou moved to take up a tertiary position in Australia, Doug decided to continue with its development. I helped in a small way with the rewriting and the updating of the content a couple of years ago, simply to make the vocabulary more user-friendly to 21st Century mentors and mentees. Yes, mentees, too, as there is a Student Profiler as well. “What’s the point?” you might well be asking. Over the years I have looked at numerous methods of Evaluation. People running programs often comment that mentors are slow at completing Mentor Logs etc. and, because of financial limitations, it’s the area around evaluations that is sadly overlooked. 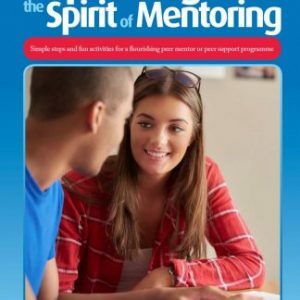 Then, when youth mentoring organisations are asked by potential funders about their evaluation methods, there is a stutter, a silence and something is muttered out 🙂 The Mentor Profiler is one aspect of the GR8 MATES evaluation process and I am hoping it will show personal development of both the mentors and the mentees in a number of key personal growth areas. What interested me about this Profiler was that it had been tested thoroughly by Lou Thompson, well-qualified to put such a program together. Once a mentor or student had completed the profiler, they could see how they had fared and, by pressing another key, they could go to a list of suggested ways they could improve in the particular domain they were assessing. Thus, it is a user-friendly, non-threatening, constructive tool to use and, given the cost of developing one’s own evaluation process, this is one tool that is cost effective. Doug is revisiting everything about the Profiler at the moment. However, it costs our organisation Aus$40 for each Profiler to be completed twice – once at the beginning of the mentoring journey and once at the end, so I hope readers will appreciate why it can be a useful evaluation tool ie, for a mere Aus$20 (the cost each time the Profiler is completed), one has a valuable evaluation process taking place! Doug is exploring the possibility of offering reduced rates for larger numbers, schools etc. There are a number of statements under each of these headings which the mentor or mentee must respond to – it is very simple. There are no right or wrong answers and it’s all about personal growth and development. Each Mentor and Mentee is given a User ID and a Password by Frontline Solutions. Once they complete the Profiler they are unable to go back and make changes, but they can see their graphs of results and the suggestions to encourage their personal growth whenever they would like to do so. When they complete their second attempt at the Profiler, they will be given a new ID and Password. As the Program Coordinator of GR8 MATES, I have access to all the Profilers, so can assess the mentors and the mentees myself. All the mentors completed the Profiler after the training, prior to the Post-Training Interview and I used it as part of the screening process, as I want them all to complete it again at the end of the journey. Doug and I have shared ideas about the mentors completing the Profiler before the training as another option. However, as the Profiler is specifically about mentoring, I felt that it would be worth doing once the mentors and I had been through the training and mentors had a clearer understanding of youth mentoring. Also, I would not have to pay for those who dropped out of the program! When the students return to school next term (semester), I have set time aside for them to complete the Student Profiler, with the assistance of their mentors. I am hoping this will further enhance the connection between the mentor and the mentee for the mentoring journey. More on that later!! For more information on the Profiler, or to have a look at a sample, have a look at: http:/mentoring.unitecnology.ac.nz (note there is no www in this address). You can access it directly through my Links page on my website (http://www.yess.co.nz/) – scroll down to Frontline Solutions. I am happy to share more info on this great tool with anyone who is interested in it. One major advantage of using it is that one does not have to pay a monthly fee to another provider for maintaining the website etc. I have been exploring a number of these options and it’s this monthly fee that places most of the options I have been exploring out of our financial reach. The main reason is that, while these providers offer heaps, I am only interested in a small part of what they are offering for my program, so do not see the justification for paying the type of fees asked for – it’s a Catch-22 situation, as I have some empathy for the providers as well.